Young Conaway Stargatt & Taylor, LLP is pleased to announce, effective January 1, 2016, the firm's new Counsel, Margaret (Molly) DiBianca and Sara Beth A.R. Kohut. 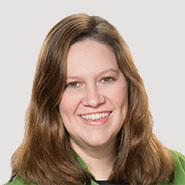 Margaret (Molly) DiBianca joined the firm's Labor and Employment practice in 2004. She maintains a legal practice consisting of equal parts litigation and client counseling. She represents employers in a variety of industries in employment rights claims, discrimination matters and equal employment disputes at the state and federal court level. Molly defends employers against claims brought by former and current employees and assists employers seeking to enforce restrictive covenants. She assists clients with internal investigations, wage-and-hour reviews, and employment-practices audits. Molly also counsels employers in the facilitation of reasonable accommodations and strategies for compliance with federal leave laws.